Diabetes is one of the most common diseases spread in the world. The good news is that it can be kept under control with the proper prescription and responsibility. Keeping your blood sugar levels under control can be a real challenge and requires proper care that becomes very simple if you are in possession of the proper supplies. 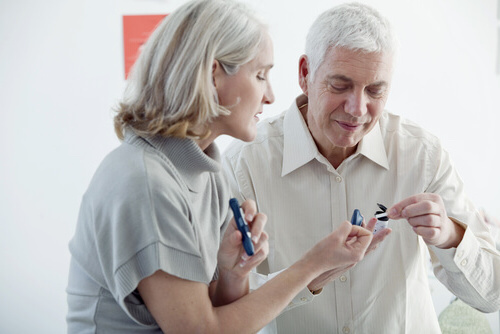 From glucose meter, test strips and lancets to Insulin and other medications, diabetes must be taken seriously because these supplies are the only ones helping you live a normal life. If you or your loved ones suffer from diabetes, you might be asking yourself whether diabetes testing supplies are covered by Medicare. Are Diabetes Testing Supplies Covered by Medicare? In order for these testing supplies to be delivered to the patient’s residence, there are a few steps that have to be taken. Firstly, in order to request these supplies, you need to use a Medicare national mail-order contract supplier that will ensure Medicare will support the costs. Consequently, they will be delivered to your house in a few working days. In case the patient is in urgent need of these supplies, he/she can procure them from the local pharmacy that should be enrolled with Medicare. In order for these medications to be covered by Medicare, they need to meet some of the conditions this type of insurance imposes, the most important one being the fact that you may have to use specific suppliers enrolled with Medicare. Specific brands of equipment need to be prescribed by the doctor and discussed with the Medicare contract supplier. In conclusion, only some of the diabetes testing supplies are covered by Medicare and you should be well informed about the benefits this type of insurance offers to you and your loved ones. This National Mail-Order Program that helps diabetes patients obtain the needed supplies applies to Original Medicare only and each person should check his/ her plan to see the advantages that he/she might obtain from this insurance. Always check with your BGA Insurance agent to determine what is covered under your current plan. In some cases, you may be better off with a supplement plan or advantage plan based on your needs.